6/17 - 2014 CoRE is generating excellent computer technology services from 1020 Suite C Robeson Street, Fayetteville, NC, 28305. 3/16 - 2011 has kicked off with a bang and Spring is coming up fast. Kick off Spring with a rocking gaming system from CoRE. Have a gaming computer built by a gamer!! For all you medical and dental facilites, we are HIPPA certified! HIPAA certification. 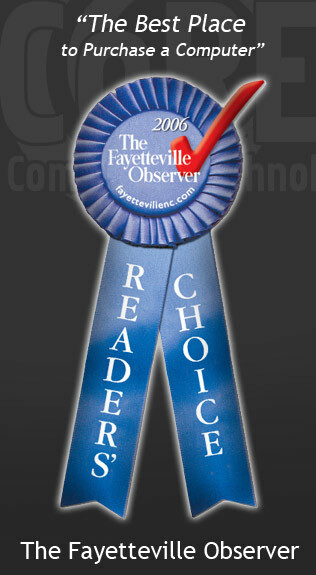 10/27 - We Rock, according to the Fayetteville Observer CoRE Computer Technologies is the best place to buy a computer. Cool eh?